B.M. in Music Education from Florida State University. 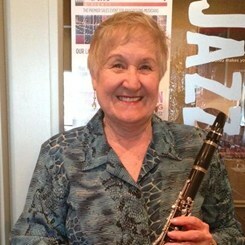 Performed as principal clarinetist of the Clear Lake Symphony as well as music theatre with the United Players. Currently a member of the League City Wind Symphony. Over 20 years teaching experience, including 8 years in the Clear Lake Area as a former band director. Clear Creek ISD approved private lesson instructor. Request Lessons with Patricia today!